CHARLOTTETOWN — Thomas Casey's second goal of the night came in overtime as the Charlottetown Islanders downed the Cape Breton Screaming Eagles 3-2 on Saturday in Quebec Major Junior Hockey League action. Lukas Cormier also scored for the Islanders (16-7-2), while Matthew Welsh made 20 saves for the win. Gabriel Proulx and Mathias Laferriere scored for the Screaming Eagles (13-11-2). Kevin Mandolese turned aside 35 shots for Cape Breton. The Islanders went 1 for 3 on the power play and the Screaming Eagles were 0 for 3 with the man advantage. SHAWINIGAN, Que. — Mavrick Bourque had a hat trick, including the winner, as the Cataractes topped Val-d'Or. Jan Drozg, Anthony Imbeault and Jeremy Manseau rounded out the attack for Shawinigan (6-16-2). Julien Tessier, Ivan Kozlov, Alexandre Couture and Nicolas Ouellet scored for the Foreurs (10-14-3). Cataractes defenceman Leon Denny earned a two-minute minor, a five-minute major, and a game misconduct for checking to the head at 18:56 of the second period. 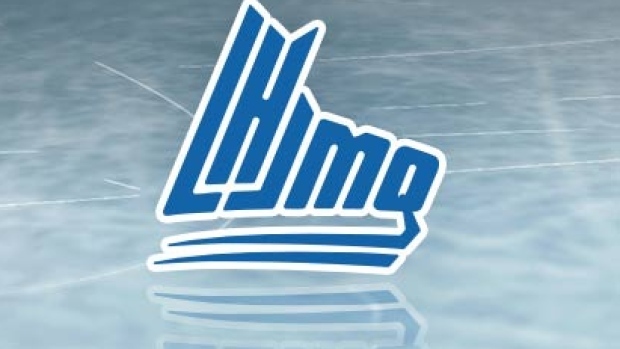 HALIFAX — Ivan Chekhovich scored twice as Baie-Comeau edged the Mooseheads. Chekhovich struck the game-winning goal for the Drakkar (18-6-2) at 0:54 of the second period. Arnaud Durandeau was the lone scorer for Halifax (17-5-1). SAINT JOHN, N.B. — Taro Jentzsch put away the eventual winner for the Phoenix at 10:35 of the second period in a win over the Sea Dogs. Patrick Guay, Bailey Peach, Alexandre Joncas and Benjamin Tardif chipped in as well for Sherbrooke (14-9-2). William Villeneuve and Anthony Boucher scored for Saint John (2-20-3). MONCTON, N.B. — Joseph Veleno had a hat trick as Drummondville blasted the Wildcats. Veleno scored the game-winning goal for the Voltigeurs (17-6-1) at 9:20 of the first period. Dawson Mercer, Nicolas Beaudin, Cedric Desruisseaux and Gregor MacLeod also scored. Jonathan Aspirot had the only goal for Moncton (19-6-2). BOISBRIAND, Que. — Gabriel Waked stopped all 22 shots he faced as the Armada shut out Chicoutimi. Joel Teasdale, Simon Pinard and Thomas Ethier supplied the offence for Blainville-Boisbriand (11-12-1). Zachary Bouthillier made 27 saves in net for the Sagueneens (11-9-5). GATINEAU, Que. — Backup goalie Zachary Emond turned aside all 14 shots he faced as Rouyn-Noranda blanked the Olympiques. William Dufour, Jakub Lauko and Alex Beaucage scored as the Huskies (22-4-0) won their 10th straight. Tristan Berube stopped 33-of-35 shots for Gatineau (10-12-3). VICTORIAVILLE, Que. — Dmitry Zavgorodniy's second-period goal was the eventual winner as Rimouski sank the Tigres. Ludovic Soucy and Jimmy Huntington also scored as the Oceanic (15-9-2) stretched their point streak to six games. Mikhail Abramov replied for Victoriaville (10-10-3).